You can't afford to entrust your investment with just any commercial real estate management firm in Union City, CA. You need a property maintenance firm with years of experience working with commercial properties. A firm that can manage every aspect of your property without overextending your budget. A firm committed to nothing less than your complete success and satisfaction. In short, you need PCOM. Add another successful investment to your portfolio with PCOM, your source for commercial building management. We offer a variety of services focused on maximizing your assets. At PCOM, we are committed to your long-term success—but don't just take our word for it. Visit our testimonials page to read what our clients have to say about our work. Call our real estate management firm to schedule a consultation and learn how we can assist you. 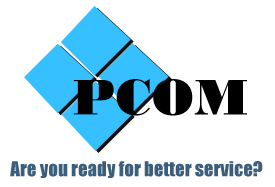 PCOM is a full-service commercial real estate management company based in Union City, California, and serving the San Francisco Bay area. We've specialized in managing and leasing multi- and single-tenant office, retail, and industrial buildings since 1994. Backed by years of industry experience and extraordinarily high ethical standards, we treat every property as if it were our own and make sure your building is run well. We own a number of properties ourselves and understand just how important your investment is to you. Our clients trust us to balance all accounts to the penny and provide them with accurate financial reports on a routine basis. Monday–Friday, 9:00 a.m. – 5:00 p.m.